According to an unnamed senior company source quoted in Autocar, Mercedes-Benz is currently deciding if it will launch a new range of three-cylinder engines. According to the source, if the German automaker chooses to go the three-cylinder route, the engine may be one cylinder bank of the company's well-regarded V6 line. If MB does go with an inline three, it will join fellow German automaker BMW in lowering its cylinder count. Apparently, though, taking this route is thought to be an expensive proposition that would require extra engineering in the form of a strengthened bodyshell, additional sound deadening and redesigned engine mounts. Alternatively, Mercedes could choose to source a downsized four-cylinder engine from another automaker. If it does this, MB would likely develop its own turbocharging system and adopt direct injection. In any case, the 1.4-1.6 liter engines would surely show up in the A- and B-Class, and may even be offered in the popular C-Class. REPORT: Mercedes-Benz considering line of three-cylinder engines originally appeared on Autoblog Green on Thu, 17 Dec 2009 08:03:00 EST. Please see our terms for use of feeds. 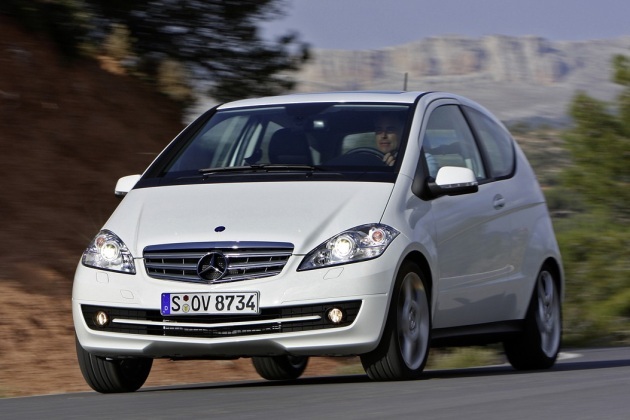 0 comments on "REPORT: Mercedes-Benz considering line of three-cylinder engines"